Dr. Dirk Ehle has been a member of theBayer HealthCare Executive Committee and responsible for the Animal HealthDivision since May 1, 2012. Dirk Ehle was born on May 26, 1969, in Cologne, Germany. He studied law at theuniversities of Freiburg, Aix-en-Provence (France), Wurzburg, and New York(USA). After three years in law firms, Dirk Ehle started his career at Bayer in 2001in the Law Department of Bayer HealthCare. In 2006, Ehle transferred to BayerAG's Corporate Office where he worked as Executive Assistant to the Chairman ofthe Board of Management. He was also in charge of Corporate Policy &Advocacy as of 2008. In 2010, Ehle was appointed Senior Bayer Representativefor Central Eastern Europe and Bayer HealthCare Representative for Poland. 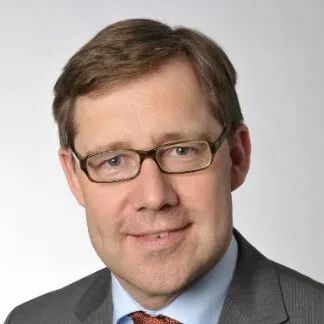 JoachimHasenmaier, born 1960 in Vaihingen/Enz, Germany, DVM., is Member of the Boardof Managing Directors of C.H.BoehringerSohn AG & Co. KG since October 1, 2012, responsible for theCorporate Board Division Consumer Health Care and Animal Health. Hisnationality is German. He receivedaveterinary medical degree (DVM) in 1986 from Ludwig-Maximilians-University,Munich, where he entered into a microbiological research program until 1989receiving his Doktormed. vet. (PhD) degree.He completed his education with a Master in Management from KelloggBusiness School, Chicago, USA in 1991. Prior to joining BI he worked in variouspositions forvarious international companies in Germany, Japan, Mexico and Brazil. In 2002 hejoined BoehringerIngeheim as Corporate Senior Vice President for BoehringerIngelheim Animal Health. In 2011 he took over the regionalresponsibilty for Prescription Medicine in NECAR (UK/Ireland, Nordics, Benelux,Canada, Australia/New Zealand). He held this position until he became Member ofthe Board of Managing Directors at C.H. BoehringerSohn AG & Co. KG inOctober 2012.